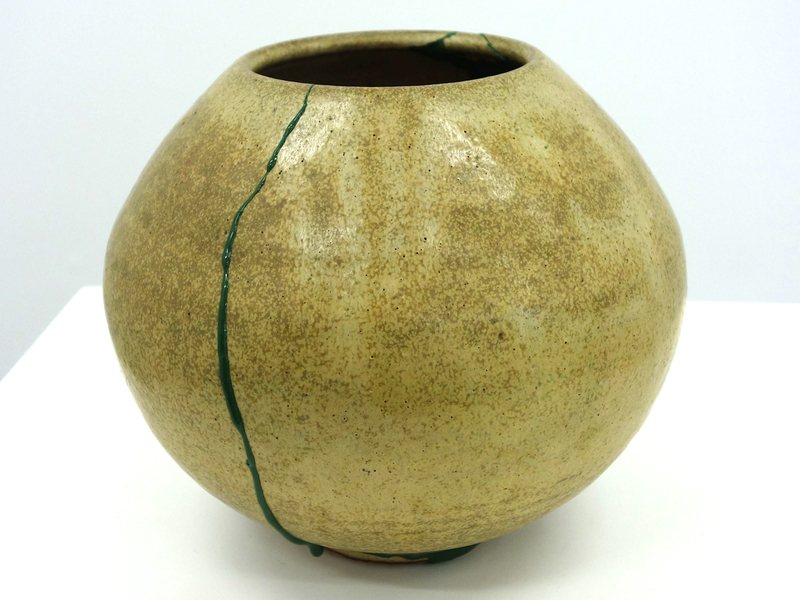 Inspired by the rich history of artistic exchange between New Zealand and Japan, these works are a tribute to the traditional Japanese technique of Kintsugi and the practice of Ikebana, or Japanese flower-arranging. 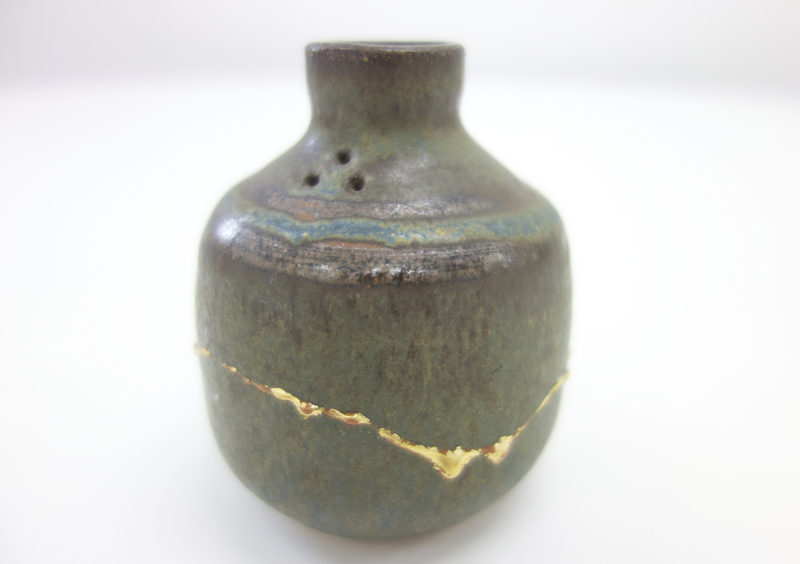 Kintsugi is a historic method of mending broken bowls and pots with layers of lacquer topped with gold leaf. 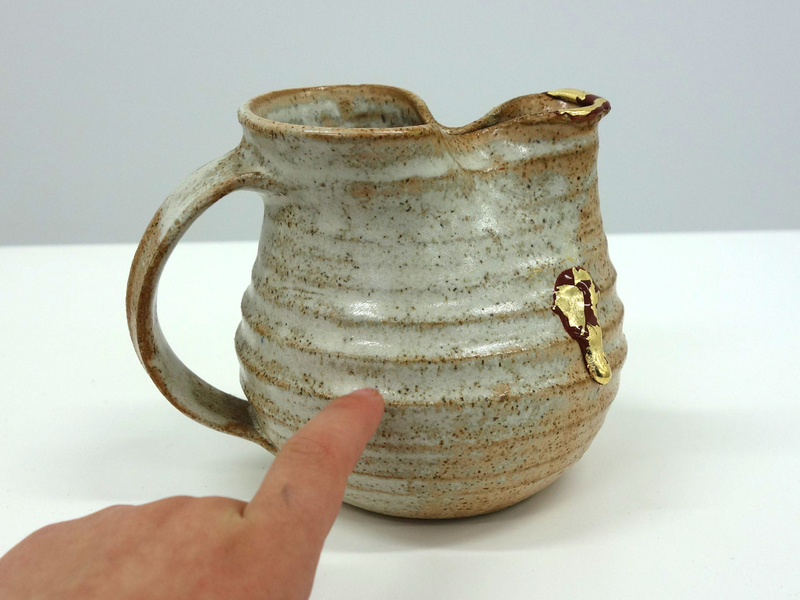 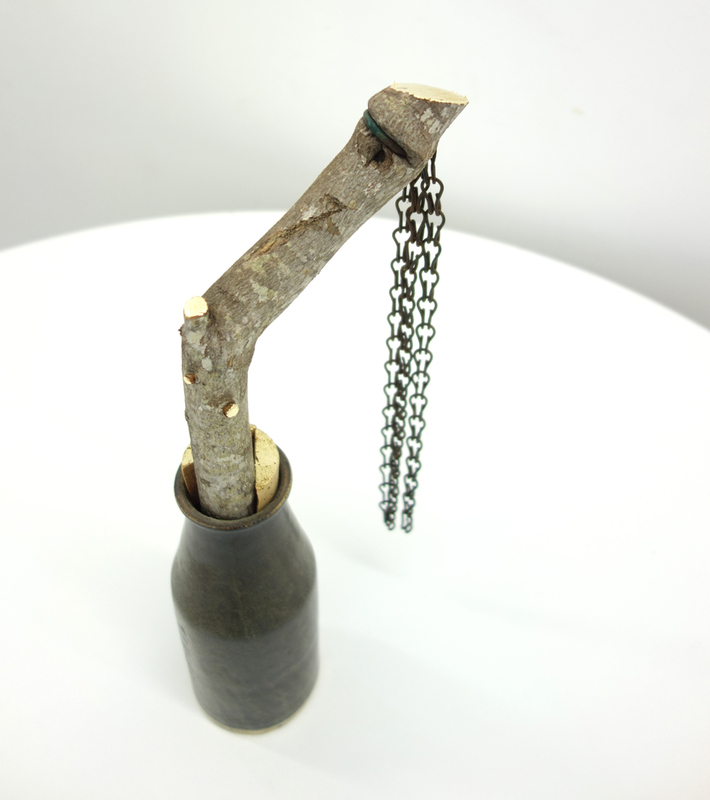 This became so fashionable in Shogunate Japan that, allegedly, treasured tea bowls would get smashed just so they could be upcycled, Kintsugi style. 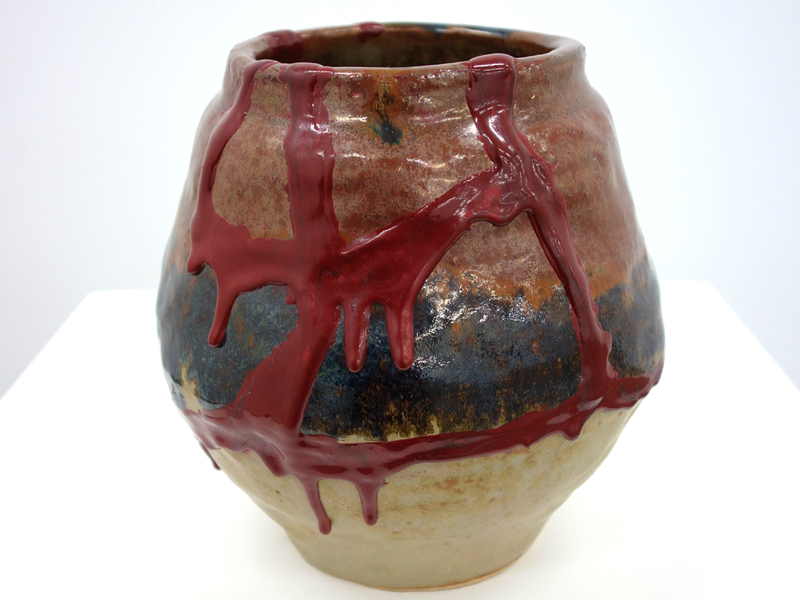 The ceramics are all studio or pottery-class products, creating a contrast between authentic and hand-wrought vessels and the modern, synthetic gloop they are patched with. 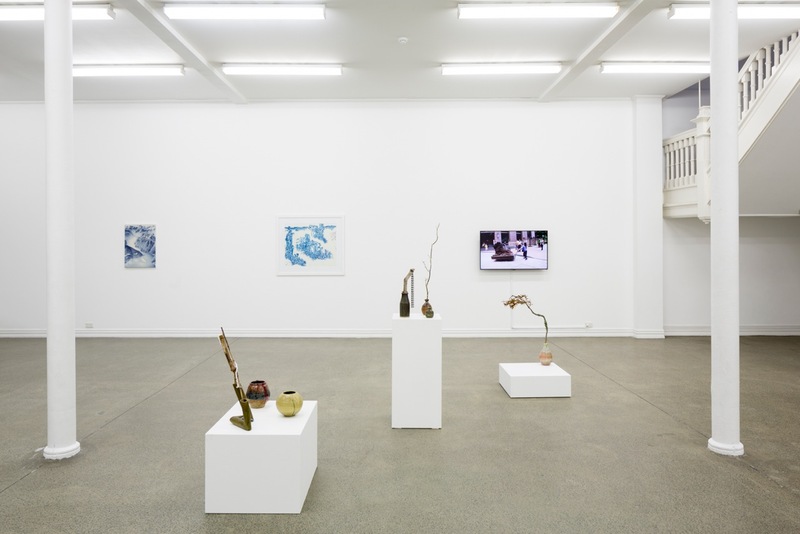 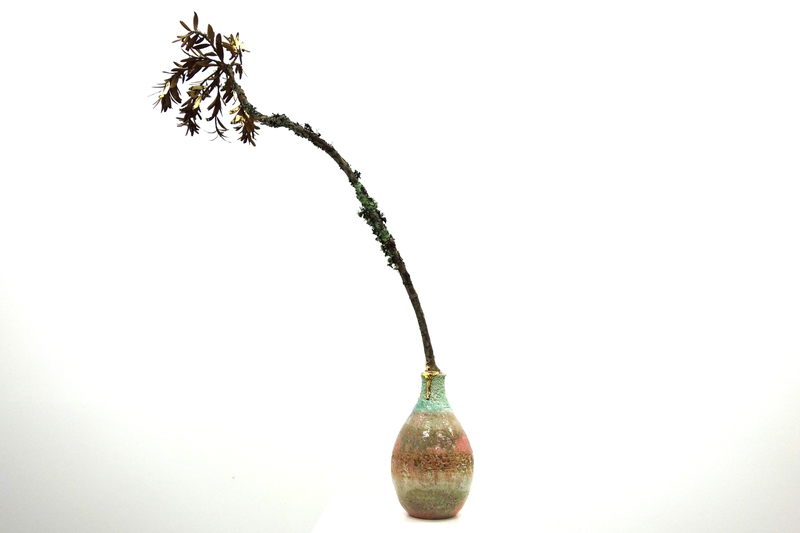 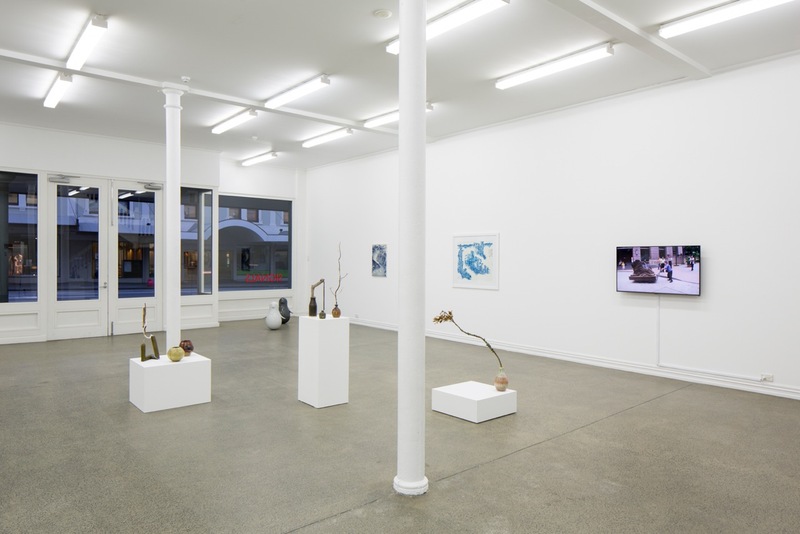 Ikebana has long fascinated the artist, particularly the way this sometimes austere, Buddhist-influenced practice became so embedded in New Zealand in the 1950s and 60s, and still has a significant contemporary following.